Best known in the street art movement for his ubiquitous and iconic flower image, artist Michael De Feo has been creating works on the streets for nearly 25 years in more than 60 cities including New York, Los Angeles, Miami, Cabo San Lucas, Amsterdam, Paris, Venice, Buenos Aires, Hong Kong and more. De Feo's work has appeared in numerous international galleries and museums including The New Museum of Contemporary Art, New York; MASS MoCA, North Adams, Mass. ; Colette, Paris; and the Museo de Arte, San Juan, Puerto Rico. Notable exhibitions include 2005's Two Atmospheres at The Aldrich Contemporary Art Museum, Ridgefield, CT and 2008's Flowers at Manifesta 7 in Trento, Italy and most recently in 2016, solo exhibitions at The Garage in Amsterdam, Danziger Gallery in New York and a site-specific installation at Rice Gallery in Houston. Michael's paintings on fashion ads and photography have been profiled in The New York Times and VOGUE, Paper, i-D, New York Magazine and numerous other outlets have also featured his work. Michael recently collaborated with fashion brands in 2016 including Neiman Marcus, Echo New York, Christian Louboutin and MILLY as well as non-profits such as Friends of the High Line in New York where he helped them celebrate their Chelsea Grasslands by designing posters, park signage and more all visible throughout the High Line park in September 2016. De Feo's work has appeared in a variety of film documentaries including Alice Arnold's To Be Seen (aired on PBS/WNET and screened at The Museum of Modern Art, 2006); and Banksy's Exit Through The Gift Shop: A Banksy Film (Paranoid Pictures, 2010) which was an Academy Award best documentary nominee. 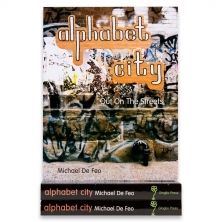 De Feo's work has appeared in over 40 books such as Trespass: A History of Uncommissioned Urban Art by Carlo McCormick, Marc & Sara Schiller, and Ethel Sono (Tachen, 2010); Paris Graffiti by Fabienne Grevy (Edition de La Martiniere, 2008); and Street Art by Duccio Dogheria (Giunti Editori, 2015). 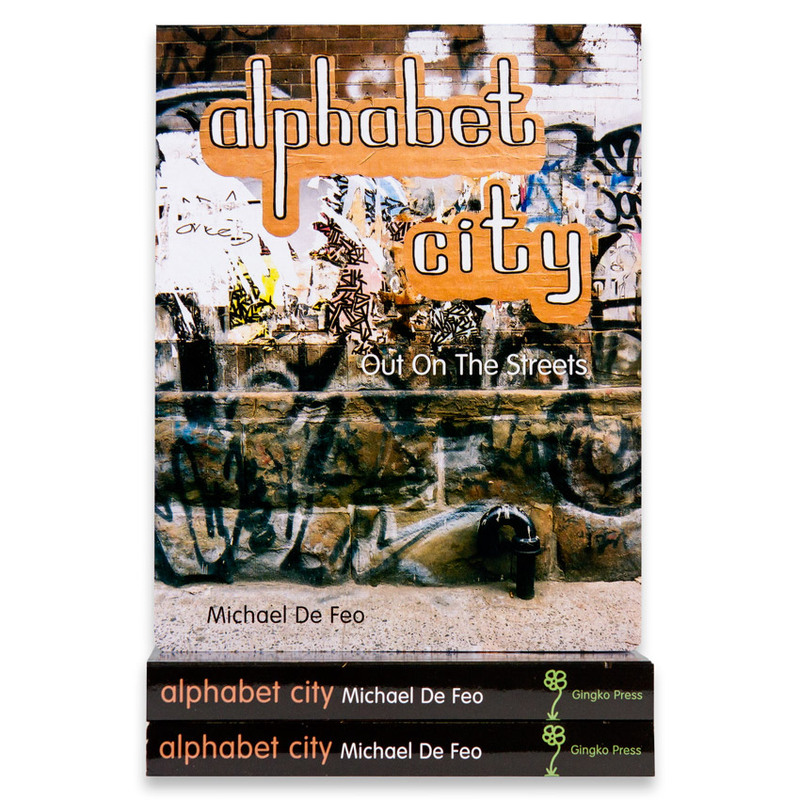 Michael's award-winning children's book, Alphabet City: Out on the Streets, employs New York City as his canvas - using his paintings glued on the streets of Manhattan to illustrate each letter of the alphabet. Currently in its fifth printing by Gingko Press, an initial review by Newsweek International said, "De Feo's art evokes beauty and optimism with a childlike simplicity while paying homage to gritty Manhattan." Michael is the recipient of a Clio Award in Fashion & Beauty, a D&AD award for Magazine Design, and two Certificates of Design Excellence from Print Magazine. In 2014 Russell Simmons and The Rush Arts Philanthropy Foundation selected De Feo as their featured artist of the year.